Since I’m (Katelyn) a new resident of Atlanta, I’ve greatly enjoyed exploring the city. 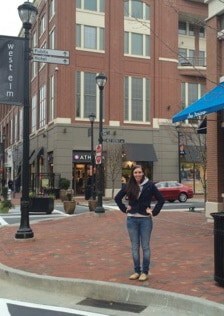 One area of town I’m happy I checked out is Atlantic Station. When was the last time you visited Atlantic Station? Not sure about it because of a previous bad experience or other bad reviews? I challenge you to give it another try. Lucky for you, there are some great events happening there in February! None of those sound like your cup of tea? Don’t worry, Atlantic Station has many more things to offer! Need some cheap candy before seeing a movie at Regal Cinemas? Target or Publix have you covered! (Shhh! Don’t tell them I suggested that!) Work up an appetite while visiting The Bodies Exhibit? The Peters Co LOVES Rosa Mexicano! (Strip and Pig & The Pearl are also tasty!) Want to warm up after ice skating? Starbucks is right around the corner! Have a little too much fun and can’t make it home? Get a room at the Twelve Hotel. With a slew of other conveniences (Nail salon, floral shop, LA Fitness, and dry cleaner) and parking being so easy (first 2 hours are free and they have charging stations for all you electric car drivers!) what are you waiting for? Atlantic Station is ready for you. ← Just Listed :: Charming Ranch in Wakefield Forest!